Dane S. Ciolino is a law professor and lawyer in New Orleans, Louisiana. He serves as the A. R. Christovich Distinguished Professor of Law at the Loyola University New Orleans College of Law, where his teaching interests include Professional Responsibility, Evidence, Advocacy, and Criminal Law. He is the editor of the weblog Louisiana Legal Ethics and the book Louisiana Legal Ethics: Standards and Commentary (2019). Since joining the faculty at Loyola, Professor Ciolino has served as reporter to the Louisiana State Bar Association Ethics 2000 Committee, as chairperson of a Louisiana Attorney Disciplinary Board Hearing Committee, as chairperson of the United States District Court for the Eastern District of Louisiana Lawyer Disciplinary Committee, as executive administrator and general counsel for the City of New Orleans Ethics Review Board, and as a member of various Louisiana State Bar Association committees (including the Professionalism Committee, the Lawyer & Judicial Codes of Conduct Committee, and the Ethics Advisory Service Committee). Professor Ciolino engages in a limited law practice and in law-related consulting, principally in the areas of legal ethics, lawyer discipline, judicial discipline, governmental ethics, and federal criminal law. 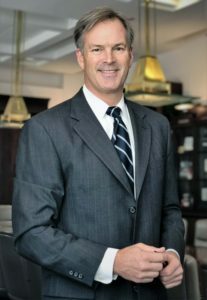 His practice includes handling disciplinary matters before the Louisiana Supreme Court, the Louisiana Attorney Disciplinary Board, and the Louisiana Judiciary Commission, legal malpractice cases, lawyer disqualification matters, and legal fee disputes. He also consults and serves as an expert witness in the fields of legal ethics, legal fees, and the standards of care and conduct governing lawyers. His engagement agreements are available here: Retention Information and Agreements. For information on Prof. Ciolino’s teaching, publications and community honors and service, click on the hyperlinks.